To produce our yearbook, there are many parts that need to come together. Learn about submitting information for the yearbook, deadlines, and ordering information here. Picture day is Wednesday August 21, and retakes are Wednesday September 25. For more information on retakes, take a look at the retake instructions. Congratulations! 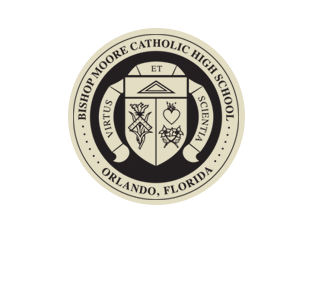 You have made it to your senior year at Bishop Moore Catholic High School. Check out our senior parent letter to learn important information, deadlines, and instructions regarding dedications, senior quotes, and senior portraits. You can order senior dedications by check or by credit card. The last day to order dedications is September 27, 2019. You will submit text and images using the image and message instructions. To order by check, download, fill in, and submit our senior dedication contract. 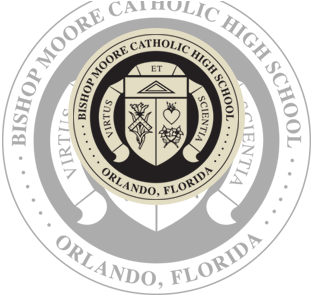 To order by credit card, visit the yearbook order center, go to “search by school name,” and type in “Bishop Moore High School”. Click on “Buy a Yearbook Ad” and proceed from there. Please note that there is an additional 5% fee on your order if you order a dedication online. Prices for dedications vary based on when you order them. Senior pictures will be taken exclusively by Leonard’s Studios beginning on June 10, 2019, at their local studio 188 Wilshire Blvd, Casselberry, FL 32707. The last day to select your pose for the senior section is on Monday, August 5, 2019. If you do not select your pose by this day, Leonard’s will select it for you. If you take your photograph after this date, Leonard’s will select your yearbook pose for you. The last day to get your photograph taken by Leonard’s is on Saturday, August 24, 2019. If you do not take your senior portrait by this day, you will not be included in the senior section of the yearbook. Leonard's has the right to alter your images in order to meet the handbook policy of Bishop Moore. This means that if your hair is not the correct length, cleavage is showing, etc. we will edit the images in order to make them appropriate for publication. This will be done without any warning to you. There are two primary markets in which to advertise your business. One major market is through the public media. However, the most valuable and inexpensive market is through local advertising. Please consider taking advantage of advertising your business in the Bishop Moore Catholic High School Yearbook. The students, staff, and faculty will purchase this publication, and by advertising in the 2020 Moore Memories Yearbook, you will reach over 1,100 students and their parents. Since a yearbook is a publication with an average lifetime of 30 years, this advertising lasts much longer than a newspaper, television, or radio ad. All sales go directly to the Moore Memories Yearbook Staff for the funding and production of the 2019–2020 Moore Memories Yearbook. Order your yearbook online at the yearbook order center. Early bird discounts are available until September 28, 2018.